It's important to recognize that remediation is a real problem. Nearly 60% of all high school graduates need some remediation. According to some data, as many as 80% of high school graduates are not ready for college in one or more content area. The National Conference of State Legislators (NCSL) met August 19-21 and, apparently, one of the topics of that conference was supposed to be remedial education. The NCSL has some recommendations for what legislators can do and I responded to that in the second of this series. There seems to be nothing new on the NCSL web site concerning this topic, so maybe those conversations didn't occur or nothing came of them. In my opinion, that's fine. I don't think legislators should be involved in determining how remedial education can or should work. In the third of this series I addressed one of the other suggestions of the NCSL: innovating remediation. When we need to find a way to improve or jump start or somehow figure out a different way to do something, we fall back to "innovate." On the other hand, as I learned from Systematic Inventive Thinking (SIT), sometimes innovation is a simple matter of adding or subtracting something that is small but functionally different. 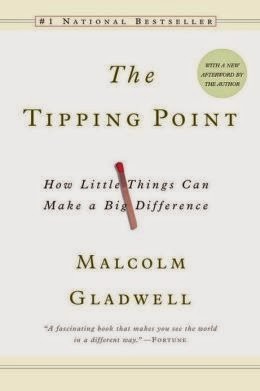 And, as we learned from Malcolm Gladwell's The Tipping Point (2000), there is a moment that makes a difference. Whether that moment is from stickiness, context, or those who can make that moment-in-time difference--the connectors, mavens, or persuaders--sometimes that coupled with that small but functional difference is all the innovation we need. But that's a different blog post. We've heard a lot, too, about remediation through job training. In July 2014, The Chronicle of Higher Education published an article titled Job-Training Programs Make Remediation Relevant. Relevance is another important word in education, but for kids who are taking Basic Math, or whatever the remedial math course is called, the challenge of understanding fractions, percentages, and decimals in the context of real world situations does matter. Let's assume for the sake of argument that most of the students in community college are also working. In 2013, that number was 80%. We can reasonably assume that most of the traditionally-aged students are in entry-level jobs, but jobs that nonetheless require them to understand basic math. So why not gear the content of the course and its activities around the realities of the students? Why not have students bring some of the challenging math problems they face in the work lives to be part of their learning? Why not connect to media? The now-classic scene in Big (1988) when Tom Hanks' character explains algebra in the context of basketball. Stand and Deliver (1987) with some calculus learning. Even the TV show Numb3rs, which showed a math wizard explaining complex mathematics in the most amazingly simple ways. I actually watched that show for the math. Me, an English major! But I digress. That relevancy is applicable for English courses, too, even a course in reading and study skills. Having students bring examples of writing and reading they have to do, no matter how simple it might seem. The OSHA regulations and the HR information on the bulletin board most people ignore. Memos from the corporate office. The way they are expected to interact with customers and the binders of information they get. In any shop or store anywhere, there are materials people write and materials people have to read. So much of this kind of relevancy is likely to work best with face-to-face learning. 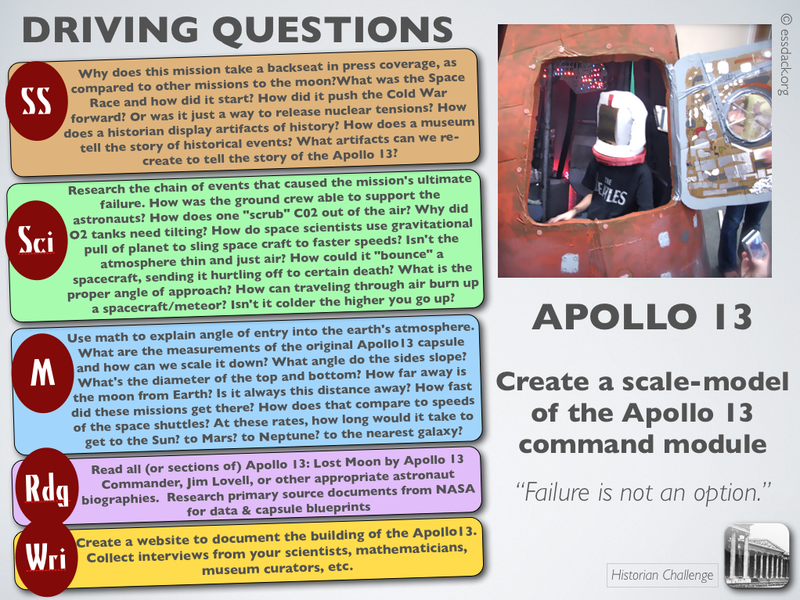 Students bring their examples and the instructor facilitates the learning through discussion and practice. At this point I can't even speak to the bonus learning that is likely to occur, but I can imagine it and it's impressive. Having a student come from that kind of remedial learning might force me to step up my game in an ENG 101 or 102 course. Remediation might also be supported through Skype in the Classroom. Yes, most of the products are geared towards students who are not in college, but the students who are in remediation are struggling because they are not yet college-ready in some content areas. In my mind, one of the best things remediation can do is meet students where they are and provide them a path towards improvement and success. PBL is another avenue for remediation. What's cool about the Life Practice cards innovated by my friend Ginger Lewman (tell her I said "Hey!" and to save me a place at Podstock next year) is that they touch more than one content area. If I were teaching a remedial course for reading and study skills and/or for English, I'd use the Life Practice cards. I'd have to adapt them some, but I think the options they provide help students learn to differentiate for themselves, get a better grasp on how they learn best, and might even uncover some otherwise unknown interest, which would be more than awesomely amazing. I believe there are plenty of ways to be systematically inventive with remediation. The gap between high school and college is going to exist for a while, but remediation doesn't have to be a shameful experience and doesn't have to be one that seems pointlessly expensive. In fact, I think a GREAT innovation is for universities to be willing to offer at least 1 hour of credit, maybe even 2 (I have to think about this some more), for outstanding work in those remedial courses. It would give the academic systems people and records offices such agita to accommodate this, but students could sign up for the 1-hr or 2-hr version of the remedial course based on the syllabus on the projects. Within the university add/drop period, they could make the decision to change the version of the course--this would be a version of a cross-referenced course--if they thought the work might be more than they could manage. For the instructor, it would be akin to having a contract project for students or a different rubric of expectations. The 0-credit students do x; the 1-credit students do x + y, and the 2-credit students do x + y + z or (x + y) * z, whatever math formula you want to use there. As I said, one of the best things remediation can do is meet students where they are and provide them a path towards improvement and success. Finding ways to make remedial courses relevant isn't all that complicated and the possibilities for student discovery could be exhilarating for the students; not only that, but retention rates might increase. Students who are able to graduate from college are more likely to be able to pay off their students loans and contribute to society and the economy in positive ways.